Woodpeckers are fantastic birds to have in the backyard, and with many species to enjoy, learning how to attract woodpeckers can reward backyard birders with a wide variety of these unique visitors. Woodpeckers are attractive, unusual birds with bright colors, bold markings and vibrant personalities. Because they typically stay in the same range year-round, attracting woodpeckers can ensure a backyard flock in every season. This gives backyard birders the opportunity to learn about these birds in detail and come to appreciate their individuality and sometimes quirky personalities. Furthermore, woodpeckers eat copious amounts of insects, which can make them very welcome visitors for gardeners. Each of these woodpeckers will have slightly different needs and preferences, but by understanding the basics of how to attract woodpeckers, it is possible to enjoy several species of woodpeckers in your yard. The more woodpeckers you attract, the more you will be able to compare the characteristics of different species and enjoy even more about every woodpecker. Woodpeckers are not usually the first birds backyard birders think of visiting their feeders, but with diligence it is possible to attract woodpeckers all year round. The key is to meet these birds’ basic needs for adequate food, clean water, secure shelter and productive nesting sites. Food: Woodpeckers have a varied diet and will eat insects, nuts, berries, sap and other natural foods. They will also enjoy suet, peanuts, black oil sunflower seeds, peanut butter and mealworms offered in supplemental feeders. Choose upright feeders that will support these birds’ most comfortable feeding postures, and position feeders near mature trees where they will naturally forage. Leaving dead trees, snags and stumps available for foraging woodpeckers will give them a good source of insects and grubs. Pesticide and insecticide use should be minimized to keep the insect population healthy for feeding birds. When planning bird-friendly landscaping, choose trees for birds that will produce the nuts and berries that are important food sources for woodpeckers. Water: Woodpeckers will visit bird baths for drinks and bathing, but they typically prefer more isolated, natural baths rather than gaudy pedestals in busy areas with frequent visitors. Try a ground bird bath with a dripper or other small moving water source to attract the birds’ attention. Position the bath in a shaded, quiet area so these shy birds will not be intimidated by too many other birds visiting the bath constantly. The basin should be relatively shallow, and nearby perches can help the birds become used to the bath and feel more comfortable using it. Heated baths are essential for winter use. Shelter: Mature deciduous and coniferous trees are the best shelters for woodpeckers. Oak and pine tree varieties are their preferred trees both for roosting and for feeding, which allows the natural shelter to do double duty as a food source. Planting several trees in close proximity will create a small wooded area these birds will feel more secure in, and adding small scrubby shrubs around the base of the trees provides additional security. If those shrubs also produce berries, they can be yet another food source for woodpeckers and other backyard birds. Dead trees can be left intact for roosting woodpeckers, and many types of woodpeckers will readily use bird roost boxes, particularly in the winter. Create layers of shelter for thicket-like habitat, and woodpeckers will feel more comfortable. Nesting Sites: Most woodpeckers are cavity-nesting species that will appreciate a thoughtful bird house or natural cavity in a dead tree. Bird houses should be mounted 10-20 feet high to attract woodpeckers, and entrance holes should be appropriately sized for the woodpecker species you hope will use the house. Take steps to keep the bird house safe, and adding a few wood chips to the interior can help encourage woodpeckers to more carefully investigate the nesting space. Bird houses should be cleaned out after each brood has successfully fledged, and consider winterizing the bird houses to serve as winter bird shelters as well. Plan a separate bird feeding station for woodpeckers away from where more boisterous sparrows, finches and other songbirds may be feeding. Putting woodpecker feeders and a watering station in a quieter part of the yard or garden can encourage these birds to visit more frequently. 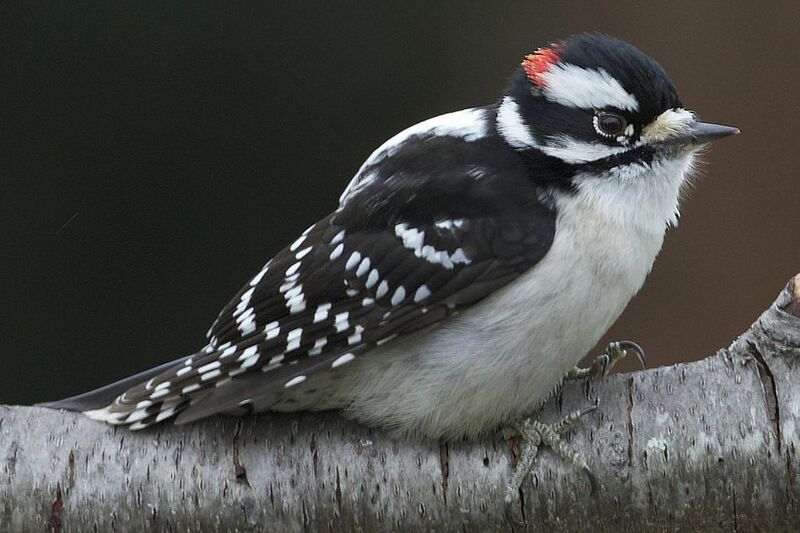 Ideally, position woodpecker feeders very near the mature trees where these birds feel most comfortable. Check suet freshness regularly, particularly during the warmer summer months. Suet can go rancid quickly, and bad or melted suet will not attract as many hungry birds but will have a stronger odor that is likely to attract other unwanted wildlife. If necessary, offer smaller suet cakes or cut cakes into smaller pieces to help them last longer so woodpeckers can rely on a consistent food source. Take steps to discourage woodpecker drumming in inappropriate places, while at the same time meeting woodpeckers’ needs elsewhere in your yard. This will help keep the birds returning but will minimize any unwanted behavior or damage to walls, fences, posts or other structures. Offer birdseed blocks and cakes in vertical stacks where smaller woodpeckers can cling to feed. Any cakes with sunflower seeds will help attract woodpeckers, and they will appreciate the durable snack in a form they feel more comfortable using. Above all, it is important to be patient when trying to attract woodpeckers. In time, if you meet these birds’ basic needs and create a woodpecker-friendly yard, they will be year-round guests you can always enjoy.